The war chest for Florida Agriculture Commissioner Adam Putnam continues to swell as the leading GOP contender for governor wraps up his official first week of campaigning. Agriculture Commissioner Adam Putnam, a rancher and former Congressman, is the GOP front runner in the race to replace term-limited Gov. Rick Scott. 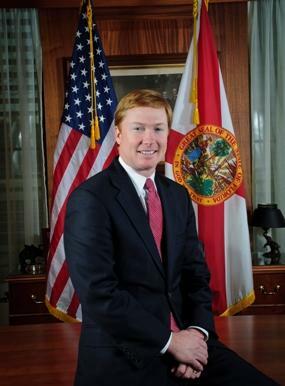 Putnam’s committee, “Florida Grown,” reports raking in an impressive $235,000 in the first five days of May. Before that, the committee reported having $8.2 million on hand. Big donors include $100,000 from A. Duda & Sons, Inc., of Oviedo and another $500,000 dollars from committees backed by the phosphate industry. Putnam faces potential primary challenges from House Speaker Richard Corcoran and Clearwater Senator Jack Latvala of Clearwater.